We Make a Rack to Carry It! 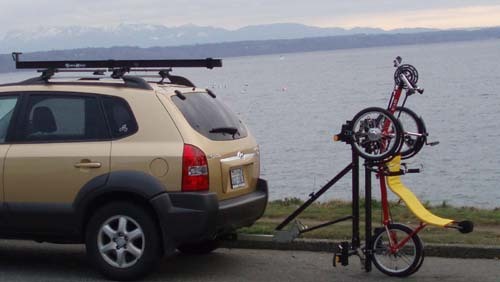 Low, easy loading position (even for two trikes). Lay the trike crossmember on the arms, then simply push the Draftmaster forward and up to latch into place.